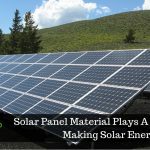 Connected to the utility grid, a grid-connected photovoltaic power system, or grid-connected PV power system is an electricity generating solar PV power system. 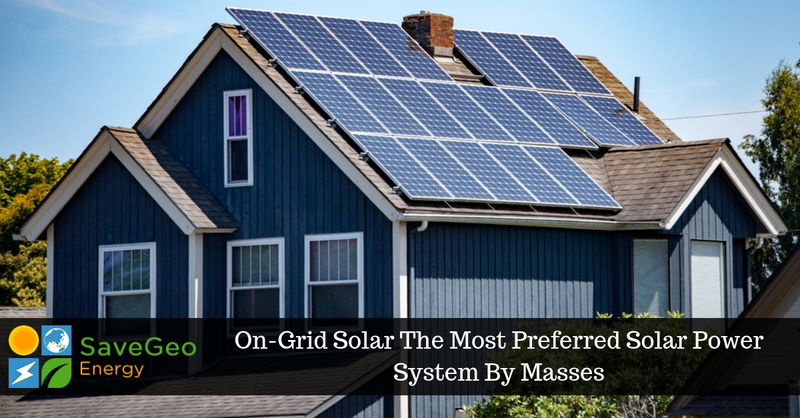 As on-grid solar power system provides an additional advantage to earn from your solar system, it is the most preferred by masses. As a result, it could change the face of the solar energy industry in India. Being the most preferred solar power system number of people have installed on-grid solar power systems and are enjoying the benefit of net metering policies to avail a credit in their electricity bills. However, numerous questions run down in buyer’s mind before the installation. 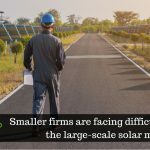 They often inquire about the suppliers, subsidies, concept, current net metering rules, a method of installation and more. Here are few answers to all your queries. 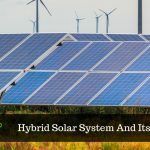 Before we go into depth, let us first understand the term On-Grid Solar System. On-grid refers to a power system connected to the utility grid and generates electricity from a solar array. It is a linked collection of solar panels. Such a system can send the excess power generated back to the grid and enjoy credit for that in the utility bills. Moreover, your electricity needs are taken care of by the power grid at night. How On-Grid Solar Power System Works? To solar panels, there are one or more inverters connected, and these inverters for your premise convert the direct current (DC) from the solar panels to alternating current (AC). However, there is no provision of backup in an on-grid system, as there are no batteries involved, and can be customized to include a small battery bank to provide buffer without compromising the performance and quality. No batteries make on-grid solutions relatively cheaper and easy to install. It is the excess energy powered back to the grid after utilization. This mode helps in the effective use of the generated energy and reduction in the power bill since you can sell the surplus power back to the electricity supplier. One of the most significant advantage of installing and using on-grid solar power system is cost-effective with net-metering, as this solar power system helps in reducing your electricity bill expenses. Further, you get a credit for the excess power that you sent back to the grid. Based on the feed-in-tariff rates (tariff fixed by the government, for the purchase of the solar power generated from solar plants) in your area, your electricity bill is reduced for the amount of energy that you have sold to the power grid. Apart from saving on your electricity bill, you also get stable and adequate electricity supply, experience minimum loss of electricity, zero cost of operations and maintenance, scalable to any amount of load and is less expensive as batteries not required. With SaveGeo Energy, experience the powerful on-grid solutions, based on the requirement set of our clients, commercial, residential applications, and devising industrial. Offering solutions that are scalable from 5kW to 1 MW and above, we reap the advantages of on-grid technology through our systematic approach. Starting from the feasibility analysis, we assess your energy requirements and recommend the best solution. To select the most efficient, cutting-edge tools and equipment, our team of skilled engineers studies the design and structure.